How to Estimate CNC Machining Time? CNC full name is computer numerical controlled, it can help you maximize its efficiency. So more and more buyer choices CNC machining their products to get more benefits. As one senior buyer, the primary is the product price, quality and the delivery time. And “How to estimate and control CNC machining time will be very important point to them. Whether you ever concerned on it or not. Many people think it is so simple. We can directly calculate the cycle time on CNC machine, also can get the best estimates time through simulations and comparing the part with others. Of course, real-world tool operating is best way to get the correct cycle time. 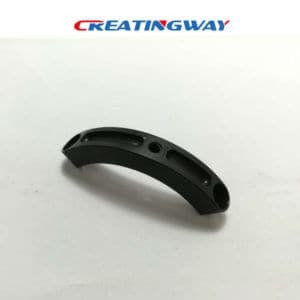 In general, we can programmed the cycle in a CAM, it can quickly simulate all of the process and estimate the machining cycle, then get the exact production time. Whether you have directly programmed one part on the Machine rather than through a CAM program, CNC control not only let you know the errors of in the program, but give you an estimate of the cycle time. We also can through the feed rating and the amount of passes of the parts to estimate the cycle time it will take. Such as : one part is 5 inches, it roughing pass is running is 2 inches per minute. So the total will take 10 minutes. At the same time, estimate other passes and the finishing cuts time, add the time of 30 seconds per tooling change. Thus we can quickly get an estimate of the cycle time. When you have a new part, comparing the part you’re cutting with a similar Operation to estimate production time. If it is complex than you made with a similar operation, you’re sure that it will take longer than the production time of the original part. You also can fast estimate the cycle time based on the final drawings and sizes. Reasonable estimate and control CNC Machining time is very importance to us. 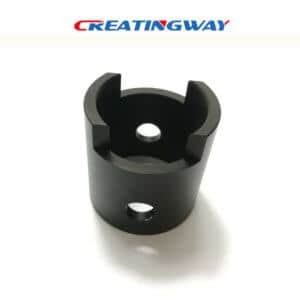 Creatingway can be fully utilized it to provide the best price and effective delivery time to meet our customers requirements.